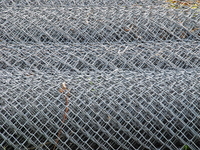 Galvanised wire for use in industrial, agricultural and fencing applications. Hard drawn wire for use in the manufacture of fasteners, nails, thread rolling appliances, display and mining applications. We can produce various tensile strengths to order. A square fluted profile with an effective covering width of 686mm designed for use as side cladding or roofing material. IBR can be factory cranked, curved and bullnosed to various radii. 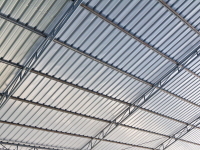 IBR roof sheets are available in a wide range of materials displaying various structural properties. The load span characteristics should only be used as a guideline as purlin spacing is dependent on many factors such as prevailing winds, the presence of dust and other particles in industrial areas and the type of structure being erected. 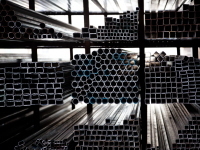 Steel grades available are G550, ISQ230, ISQ300 and ISQ550. Coatings available are Zincalume and Galvanised. Paint systems available are colourbond and Chromadek. 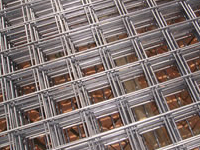 IBR can also be manufactured in stainless steel and aluminium. Corrugated is the traditional S-Rib profile for roofing and cladding applications. It is the most commonly used profile due to its easy handling, fixing properties and related strength. The 8.5/76 translates to 8.5 corrugations over the width of the sheet and the 76 relates to the distance in millimetres between the two consecutive curves. The sheeting can be cranked, curved and bullnosed to various radii. The overall width of a 8.5 corrugated sheet is 700mm and the width of a corrugated sheet is 840mm. 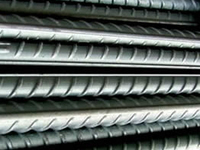 Corrugated sheeting is available in galvanised full hard and CQ steel. Widespan is a roofing and cladding profile designed to provide an economic alternative to deeper box rib profiles without losing the aesthetic appeal of a square fluted profile. The trapezoidal Widespan profile offers greater spans and lower roof slopes than corrugated sheeting but provides the same covering width. Widespan can be factory cranked, curved and bullnosed to various radii. Widespan can be ordered with an optional stiffening rib in the broad flute to minimise oil canning or waves. No Claims for oil canning can be entertained unless a stiffening agent is specified at time of order. Widespan is available in a range of material. Fastening systems are also available.